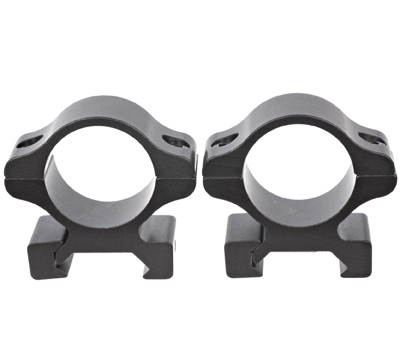 These aircraft-grade aluminum alloy detachable medium rings with a matte finish fit all standard cross-slot style bases. 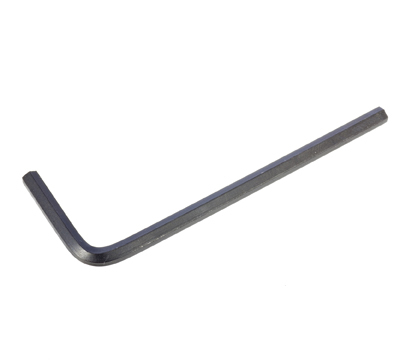 Features include a long lasting finish, are precision machined, rugged, durable, and easy to install. 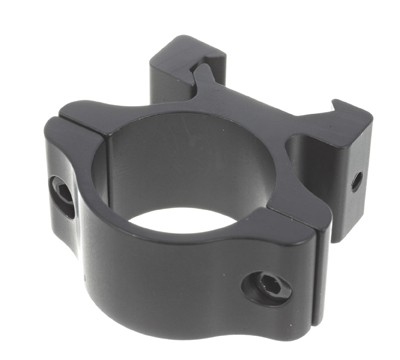 Fits the Ruger® American Rifle® (centerfire), any Weaver™ style mount, and one 1" scope tube diameter. Includes four screws and an Allen wrench. Made by Leupold. 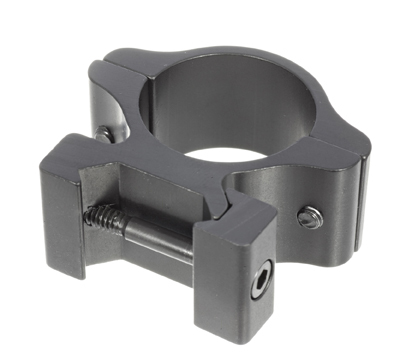 Hands Down, This is a Superior Quality Produxt, My Gun Is Stainless so I have the Stainless Version of these Mounts which lock up secure/tight & look highly polished, just like the entire gun for that matter with the exception of the more dull/plain stainless magazines but theyd polish up easily to match if i hit them with some Mothers Polish & a Rotary Tool loke yhe ones used yo restore headlights commonly or the type that helps polish wheels made by Mothers- i do believe its calked the Powerball, i suppouse a Dremel would be fine if you stay patient & dont burn itburn the metal & it usually turns black or some level of distorted color especially when you turn that dial up & let it spin by trying to go too fast. To the Point- When using on my .223 Ranch Rifle 196 Series, 2002-2003 Mfg., i mounted my new 3-9x40 Top Name Brand Scope and Everything is Perfect EXCEPT, I swear it never fails, nothing is simple the fact that when mounting the Scope and Securing It I seen that the Raised Round Area on the Cented Heatguardi guess? was sticking up just enough to kerp tge scope from being perfectly level- this is nothing some minor filing, sanding, or something like that wont cure- I wouldnt break out anything electric like a Dremel or Sabder Because You Can Ruin Your Heatguard by sanding a hole through it in a few quick monents with a Dremel or Similar Tool. You guys know nothibg is ever simple with gun parts, car parts, computer parts, the dryer orcwhatecer but its nothing to worry about- patience will set you free, just be careful & take it slow! And, If anyone us thinking, Hey Dummy, Get a Set of Large Rings & You Wont have that Issue. Maybe do, but a scope should be as close to the barrel as possible, with nedium rings its 1/8-3/16 or 3-5mm away from the barrel so id trim it because itll be perfect & extremely close to the barel, nobody will ever see itre-paint it black if youre worried, but if you use Tall Rings Vs. These Medium Rings The Scope will Un-Necessarily be about 7/16-1/2 Too Tall If Not More, Perhaps this would allow you to use your iron sights with a scope mounted too buy i kinda doubt it, honestly if so, Id scrap my Argument & go with that as i find nothing more comforting than my sights zeroed for 75-100 Yards & My Scope Zeroed to About 200 Yards so I have the Ability to make quick shots at closer targets & a magnified scope at about 6Z-7X at a bitclonger Range If Possible, It may work out, well have to check out the Forums, but I do have a bit of lingering doubt, well see, if anyone has done this to your Mini 14, Mini 30, or 300 Blackout Version Please Educate Us! Thanks Guys, I hope I could help someone somehow, but i realize that wasnt exactly my most brilliant display of expertise, but its good food for thought, come on- give me that much! most all of rugger scope rings are very good if you are putting them on ruggers. but the are not for all rifles they just do not work out.